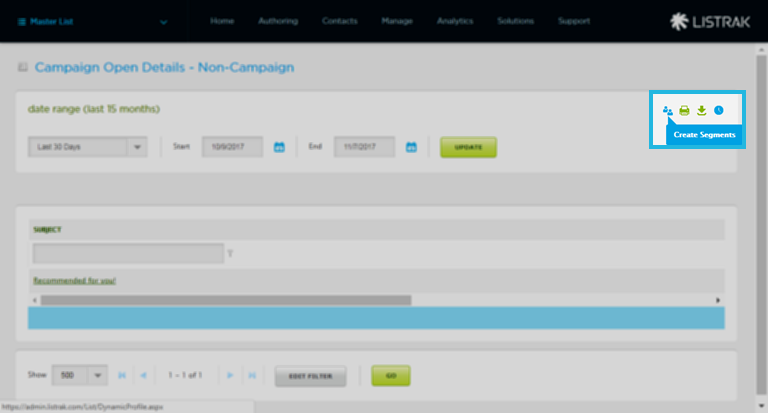 By applying a filter, segmentation can be added to an entire group of contacts at once or from any analytic results, such as contacts that haven't opened a particular message or contacts that entered a Conductor conversation on specific day. NOTE: Adding segmentation overwrites any previous values contained in those segmentation fields. This cannot be undone and previous data is not stored in Listrak. 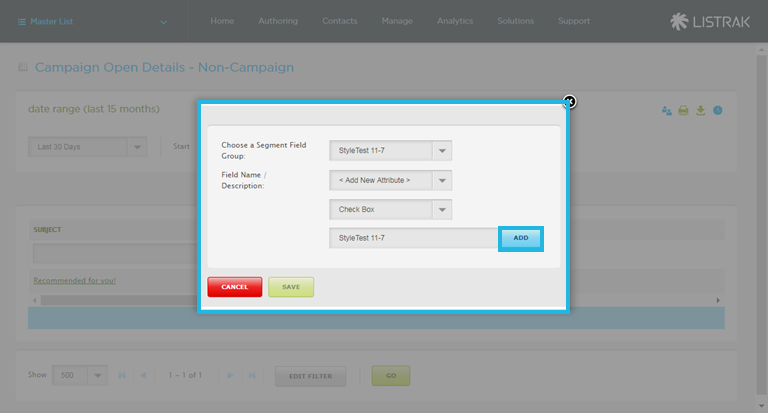 Follow the below steps to add segmentation to an existing field or to create and add to a new field. 1. Click the people icon to Create a Segment. 2. Select the Segmentation Field Group from the drop-down menu. 3. Select the Field Name from the drop-down menu. 2. Select the Field Group from the drop-down menu. 3. Select <Add New Attribute> from the drop-down menu. 4. 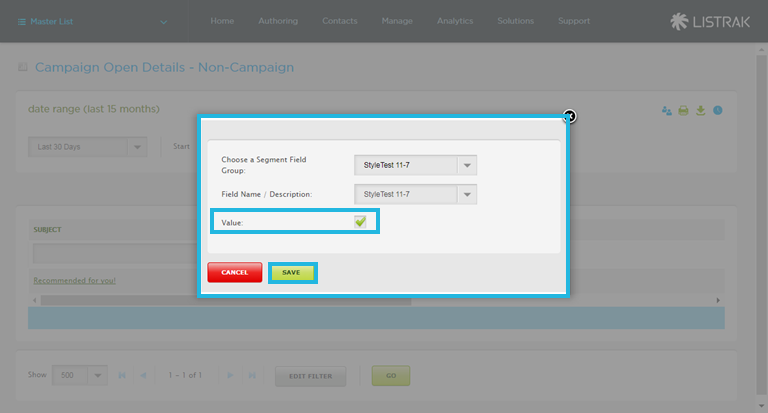 Select Check Box from the second drop-down menu. 5. Enter a name for the field. 2. 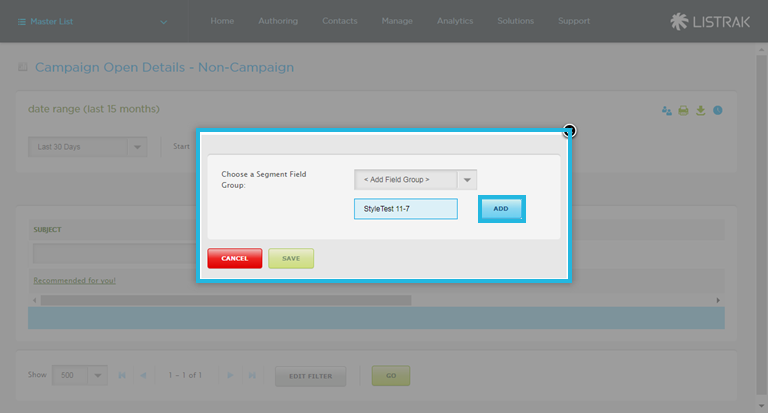 Select <Add Field Group> from the drop-down menu. 3. Enter a name for the field group. 5. Select <Add New Attribute> from the drop-down menu. 6. Select Check Box from the second drop-down menu. 7. Enter a name for the field. 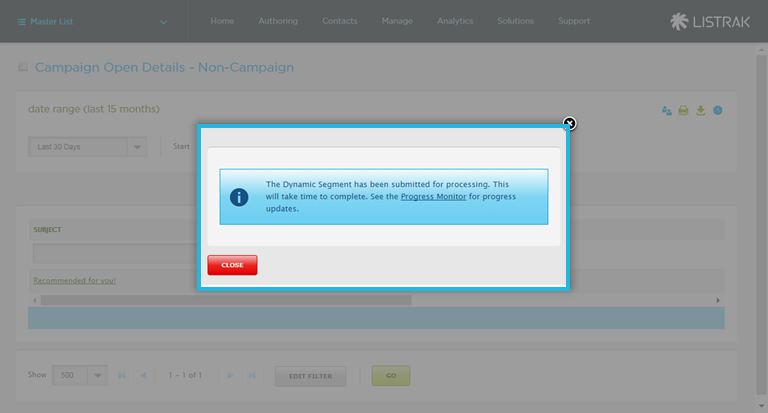 After you've set up your segments, click here to learn more about applying them to messages.